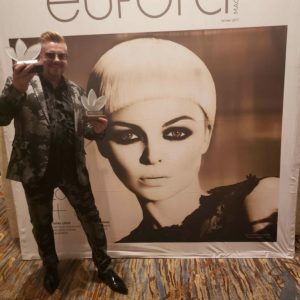 Barron’s London Salon: Atlanta’s premier hair salon offers a unique selection of quality hair products and appliances, including hair straighteners and hair dryers. The round black boar bristle brush, ideal for getting through damp hair, can help create the most complex styles as well as distribute the hair’s natural oils more evenly. 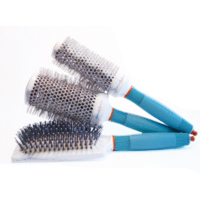 The sturdy bristles penetrate hair down to the roots without irritating your scalp. Curling wands add natural bounce to your hair with minimal effort. 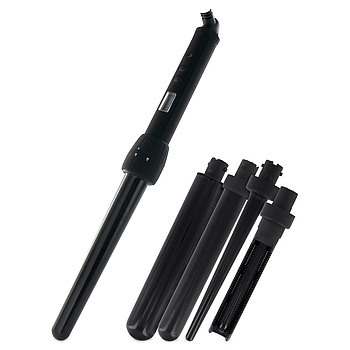 Versatile and easy to use, one of our favorite curling wand systems has interchangeable barrels of varying lengths (0.5,” 1,” 1.5,” and 2”), giving you several styling options. 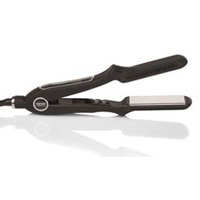 Curling wands also include adjustable temperature control and moisture-locking technology, protecting your hair throughout the curling process. Used for Keratin treatments, the extra wide plates distribute heat equally across the blade making it ideal for highly textured or dense hair. 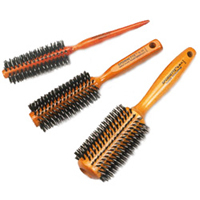 Heat-retaining ceramic round hairbrushes finish styles with precision and control. These brushes are strong enough to penetrate all hair textures, from thin to thick, straight to curly, adding lovely shine and body. Professional flat irons give your hair the long-lasting shine, smoothness and control needed to maintain beautiful straight styles. 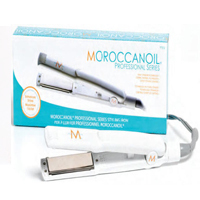 Seal in much-needed moisture with flat irons that use ionic titanium technology. 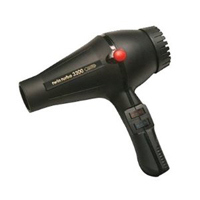 Variable temperature settings offer heating flexibility, an important feature to protect hair from excessive damage. 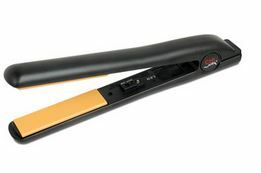 Salon-grade ceramic flat iron plates provide even heat distribution, reducing the chance for singeing hair during styling. 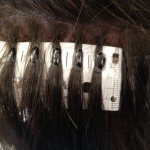 Titanium flat iron plates heat up quickly and generally provide fast, smooth results in less time. Depending on your hair texture, strength and desired style, both ceramic or titanium flat irons can deliver beautiful looks and brilliance. 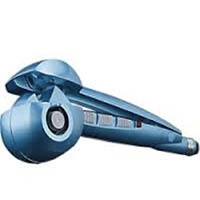 Dry your hair faster and more evenly with professional strength blow dryers available at Barron’s London Salon. Salon-grade blow dryers made of ceramic tourmaline reduce drying time and help hair absorb moisture, while ionic dryers cut down on frizz. A choice of heat settings and nozzles gives you control over a variety of styling techniques.